I know I’ve been absent from blogging this past week, but I wanted to take a moment to say Merry Christmas! I’ve been busy getting ready for family visits, last minute gift making and this cute little girl who just landed in California today. I’ll fill you in on all of the fun stuff after the holidays and share some blogging plans with you, too. Thank you for all of your support and friendship this past year. You are a big part of my creative family and my motivation to continue to grow and inspire! What a beautiful, sweet Granddaughter! They are so precious and we spent time with our Granddaughter who just turned 21 this year. Time goes by much too fast. Enjoy every minute!! Happy New Year!! Hi Julie…new to your site and so appreciate your tutorials! Very Merry Christmas and Happy New Year to you! Oh my gosh….she is so precious! Happy holidays and thanks for all your inspiration! Merry Christmas Julie — enjoy your time with Amelia — she’s is a cutie! Thanks for all you’ve shared with us in 2016 – I’m looking forward to learning more from you in 2017. Merry Christmas! I can now imagine what you looked like at Amelia age. Great photo. We had a wonderful quilting year, thank you. Merry Christmas and a Happy New Year Julie ! She’s a sweetheart. Enjoy every precious moment! Have a wonderful Christmas and a Happy and Healthy 2017! Thank you for your great tutorials and your inspiration. Merry Christmas! Have a splendid time with your family! Beautiful baby, beautiful Grammy. May you and yours have a joyous Christmas filled with God’s love as we praise His Son Jesus Christ. Thank you for sharing your talents/ your gift from above. Merry Christmas Julie, enjoy your time with your granddaughter. What a joy!! Merry Christmas to you too! Your granddaughter looks so much like you! Thanks for all the blogs, it’s like Christmas all year long! Dear Julie. Greetings from Canada; have a wonderful Christmas with your family and all the best for the New Year. I look forward to your posts and enjoy them very much. 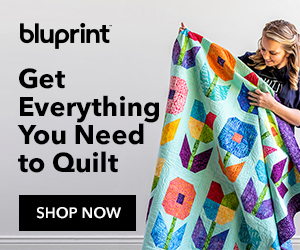 I’m glad you are part of my quilting circle. Merry Christmas. What a cutie! Merry Christmas to you and your family. Ty for your blog. She’s a beautiful grandbaby Julie. This photo of the two of you is a keepsake. oh, the photo of you two in front of the tree– what a treasure!! Merry Christmas and a happy New Year to you and your family, too, Julie. Your granddaughter is a mini -me of you. Amelia is adorable. It will be so much fun Christmas morning with her there. Thank you for the quilting year…..you helped me get 10 UFOs done! What a precious little girl! And a memorable visit for your holidays. Merry Christmas to you and your family, Julie! Merry Christmas. Enjoy the holiday with the adorable little girl. Thanks for all your help in the past year. Merry Christmas Julie all the way from Newfoundland, Canada! Enjoy your family! Merry Christmas. Hope you enjoy your family. Blessings to you and your beautiful family. Thank you for all you do to teach us the right way. Amelia is gorgeous, you just want to sweep her up and hug her. You can tell instantly she is your grand-daughter. Thank-you for all the wonderful tips and in-sights throught-out the year … You are a constant source of inspiration to me, and I am so glad I was in your class all those years back amd have followed you since. I wish you and your family a Merry Christmas from ‘Jolly old England’ where I shall be enjoying my little grand-daughters as well. Merry Christmas Julie! Thank you for another wonderful year of blogs. Enjoy your little Amelia, she is adorable. Merry Christmas to you, Julie! Merry Christmas Julie. Have a wonderful time with your gorgeous family. Wishing you a healthy and happy New Year. Such a cutie! Happy Christmas and a safe and lots of stitching 2017. What a beautiful little girl. She looks like her grandmother. Merry Christmas to you and your family. I always love reading your blog. Wishing you the best in 2017. Merry Merrrrrry Christmas Julie! Thank you for everything you do for our community! Enjoy that sweet baby! Merry Christmas, Julie. Enjoy your time with Amelia. She is adorable!